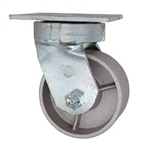 For more caster options and assistance, please call our sales team in West Reading, PA, at 1-800-215-8220. 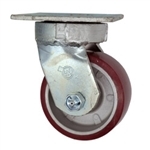 4" Kingpinless Swivel Caster - Polyurethane on Polyolefin Wheel - 500 lbs Cap. 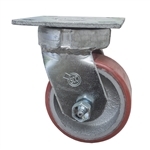 4" Kingpinless Swivel Caster - Polyurethane on Polyolefin Wheel with Ball Bearings - 500 lbs Cap. 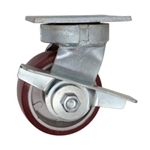 4" Kingpinless Swivel Caster - Polyurethane Tread Metal Wheel - 700 lbs Cap. 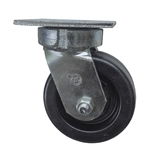 4" Kingpinless Swivel Caster - Polyurethane Tread Wheel with Ball Bearings - 700 lbs Cap. 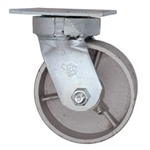 4" Kingpinless Swivel Caster Polyurethane Tread Metal Core - 700 lbs Cap. 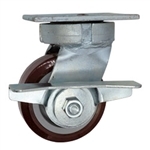 4" Kingpinless Swivel Caster Polyurethane Tread Wheel with Ball Bearings - 700 lbs Cap. 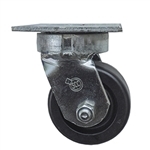 4" Kingpinless Swivel Caster with Brake - Polyurethane on Polyolefin Wheel - 500 lbs Cap. 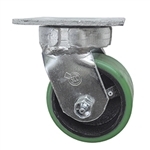 4" Kingpinless Swivel Caster with Brake - Polyurethane on Polyolefin Wheel with Ball Bearings - 500 lbs Cap. 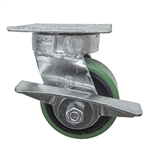 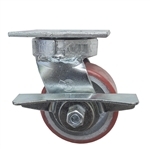 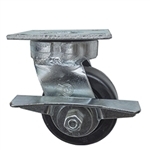 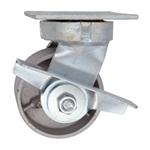 4" Kingpinless Swivel Caster with Brake - Polyurethane Tread Metal Core - 700 lbs Cap. 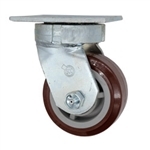 4" Kingpinless Swivel Caster with Brake - Polyurethane Tread Wheel with Ball Bearings - 700 lbs Cap.